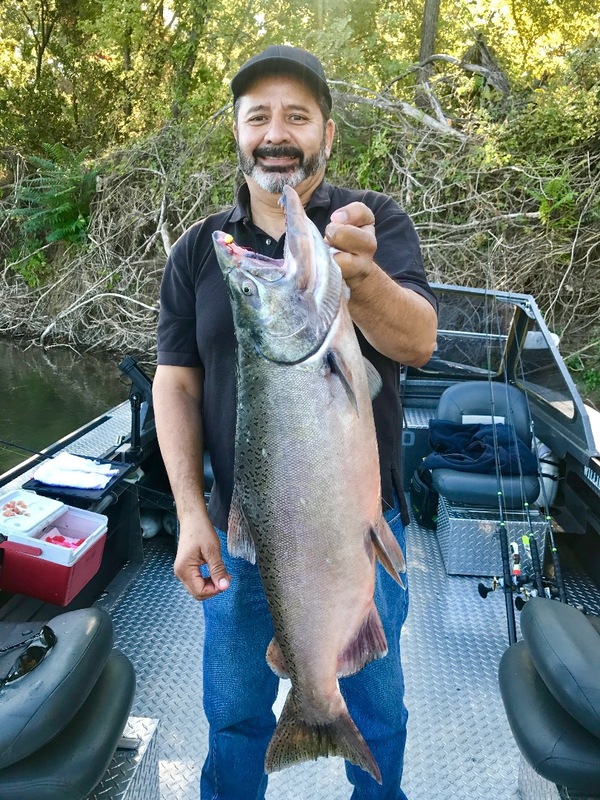 Quick limit of quality King salmon for Gregg today on the Sacramento River. 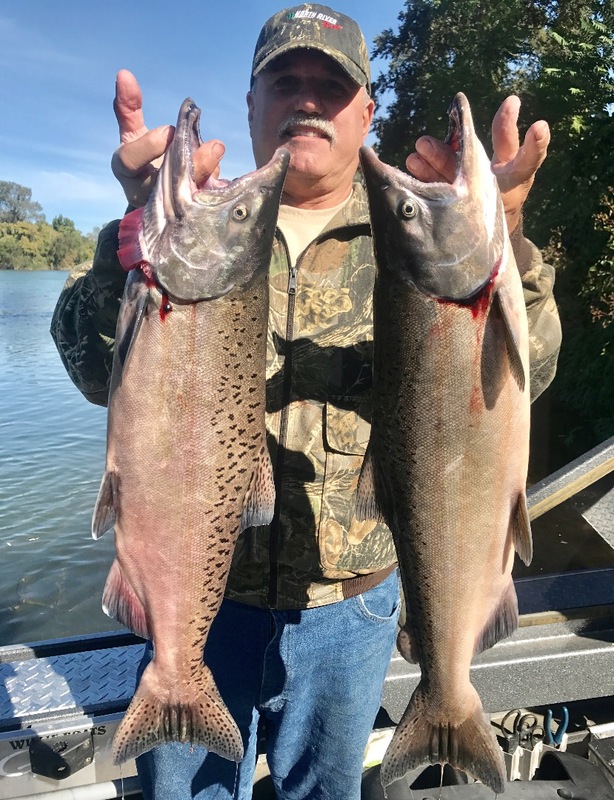 Quick trip for a limit of salmon for Gregg today on the Sacramento River. We lost a fish on our second pass with plugs, but moved and found two Kings on back to back drifts. When the bite turns on fishing is really good! Some days produce more than others, but I'd say fishing or booking a trip is very worthwhile right now. Fresh Kings still coming up the Sac! 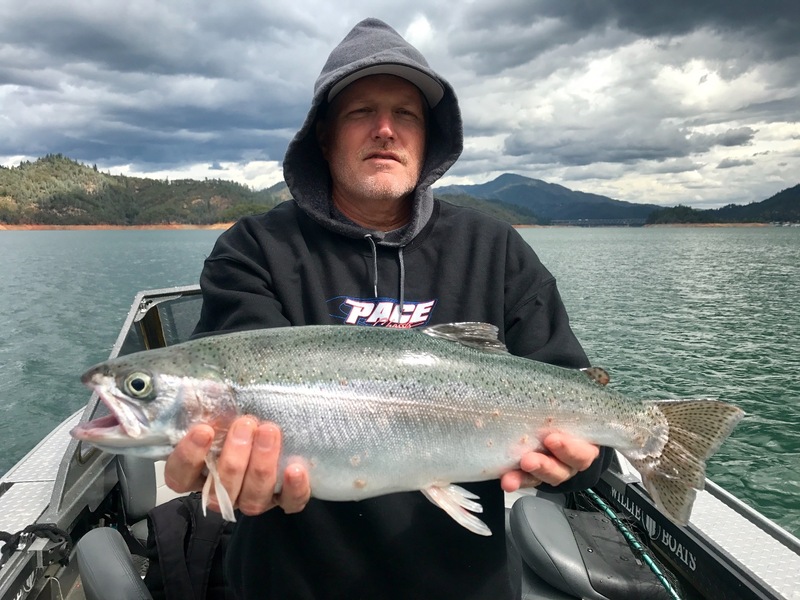 Big wind and big Shasta Lake trout!